Lochte Feed & General Store is your one stop shop for all your bird feed needs. 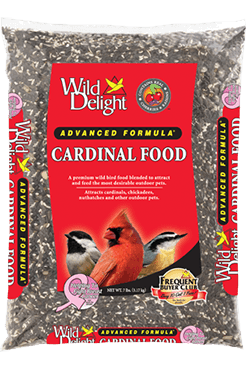 We carry Wild Delight Cardinal Food. This is a premium wild bird food blended to attract and feed the most desirable outdoor pets. This is primarily for Cardinals, Songbirds, Titmice, Grosbeaks, Thrushes, Jays and other outdoor pets. Hurry in today for all your bird feed needs today! This entry was posted on Tuesday, January 20th, 2015 at 4:02 pm	and is filed under News & Updates. You can follow any responses to this entry through the RSS 2.0 feed. Both comments and pings are currently closed.